Excel inventory tracking is an attractive option for many small businesses just getting started with managing inventory. That is because it is inexpensive and it keeps things nice and simple. Employees and business leaders do not have to learn a complicated software structure to begin. They can just use their skills with Excel spreadsheets to start adding and monitoring their inventory. Let’s talk about why you may want to use Excel for inventory tracking and why you may want to move beyond it. 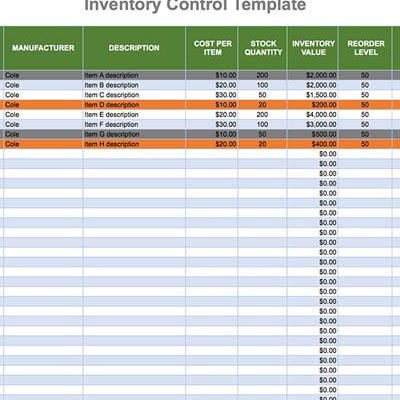 Why Use Excel for Inventory Tracking? Cheap Solution – If you have the Microsoft Office suite installed on your computer, you have access to Excel. It is a ubiquitous program that doesn’t require any additional purchase to obtain. In other words, it is an inexpensive option, at least at the outset. Easy to Use – There are many YouTube videos and other free training options to help you get started with Excel and navigate its many features. Its flexibility is one of its biggest assets. You can use it for just about anything, and it’s pretty simple to figure out. Most People Are Familiar with It – Most of your staff members are probably already familiar with Excel spreadsheets because they have been using them for a number of years. It is easy to keep everyone on the same page because of this uniform familiarity. 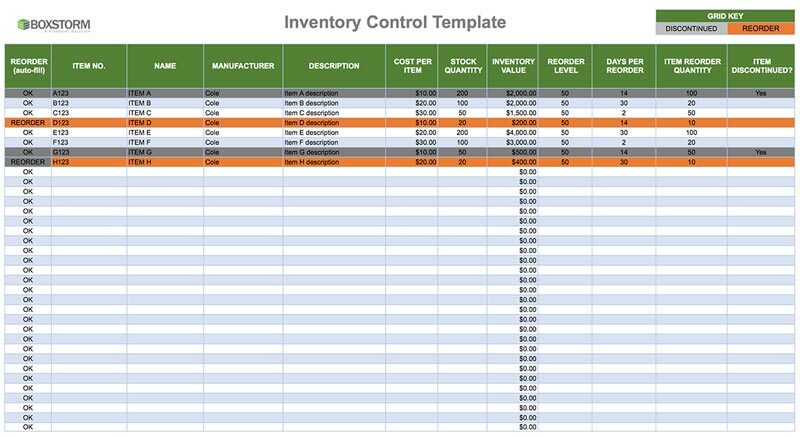 Why Move Beyond Excel for Inventory Tracking? Once you have used Excel for a while, you will most likely find that it is not able to keep up with your increasingly complex requirements. Here are three deficiencies in Excel that may make it necessary for you to move past it to actual inventory tracking solutions. Lack of Security – Excel does not allow for user logins or any security measures like that, so when changes are made to the system you can’t tell who made them. This lack of security can cause real problems down the road if you are not careful. No Automation – Excel isn’t designed for automation. When you make changes to your inventory, you will have to add them to the spreadsheet by hand. Sure, you can create formulas for cells, but you still have to manually add the data into the cells, too. No Backup Plan – What happens if the warehouse worker who created your spreadsheet or who manages it ever leaves the company? Unless he has written extensive documentation, the next employee will probably struggle to fill his shoes. You can solve all of these problems and enjoy many other benefits by using an inventory tracking solution, such as Boxstorm Forever Free. You will never pay anything to use this online inventory management solution, so you have nothing to lose by signing up for a free account with it. Reorder: This lets you know if the item in a particular row of the spreadsheet needs to be reordered, according to its stock quantity and reorder level, which we will describe below. Item Number: A number that is used internally to identify an item in your inventory records. This helps to distinguish between items that are either similar or disparate in nature. Item Name: The designation of the item, such as Widget A or Soap B or whatever other name you choose to give to it. It is important to give each item a descriptive name so you know what it is. Item Manufacturer: The name of the vendor, supplier, wholesaler, manufacturer or other type of company that you obtain a particular item from. This lets you know who to work with when reordering. Item Description: An explanation of the item, such as its color, shape, and other features that help you identify it and also distinguish it from other items in your inventory. Cost Per Item: The amount of money it costs to obtain each iteration of an item. Note that this is not the price that you sell the item for. Cost is distinct from price in this spreadsheet. Stock Quantity: The overall number of individual items you have in your warehouse at any particular moment. This number will change frequently and will need to be updated manually. Inventory Value: The total amount of money that all of the copies of an item are worth. This is calculated automatically by multiplying the stock quantity and cost per item together. Reorder Level: The lowest number of items that can be in stock before it triggers the reorder column (which we discussed at the start of this list) to update itself and tell you to reorder an item. Days Per Reorder: The amount of time (in days) between the moment that an order is placed to the moment the ordered items are received in your warehouse. This should be taken into account when reordering to avoid stockouts. Item Reorder Quantity: The number that is recommended to order of a specific item to replenish your stock without overstocking. You want to find that sweet spot in between too few and too many. Item Discontinued: This is used to denote that an item has been discontinued by you or the vendor you use to obtain it from. If a part is still available and in use, this should remain blank.